Nikki Laoye makes a great comeback with her brand new single “No Be Beans” featuring fast rising Yoruba RapBoy, Base One, who created quite a buzz with his lyrical prowess during Don Jazzy’s Enigma saga. Produced by her younger brother, Xblaze (who also produced “Taka Sufe”), the hip-hop laced track expresses her acknowledgement of God’s grace despite the dark times she’s been through. 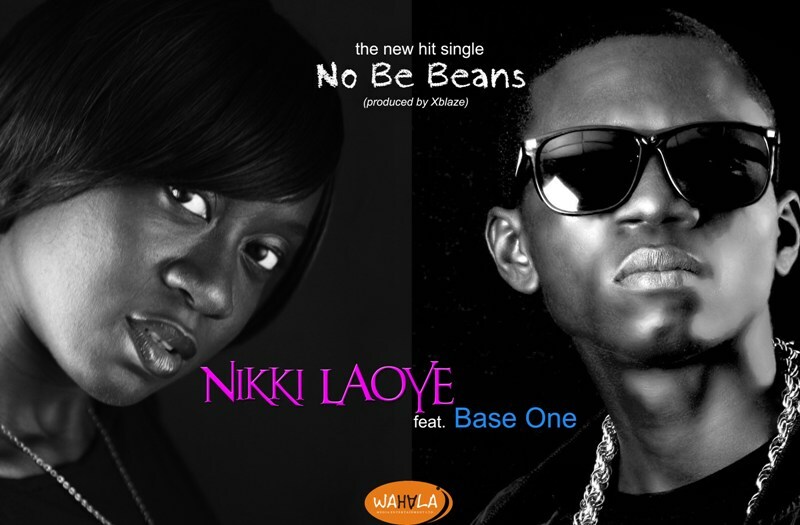 “No Be Beans”- co-written by Base One, is highly marked by its catchy lyrics, chorus and remarkable beat production. Everyone will definitely keep their fingers on the replay button. Featured artiste, Base One is an indigenous hip-hop artiste in a league of his own. Self acclaimed as a “lyrical madman”, Base One is an engaging act to watch out for. His first single “SuruLere” has been getting great reviews and it’s already carving a niche for him in the Nigerian music scene.